Climb the supplement pyramid from foundational products to peak-performance enhancers, and you'll be set up for gains that'll get you crowned Emperor of Muscle. There are thousands of muscle-building workouts and meal plans. If you call yourself a "hardgainer," then you&apos;ve tried at least half of them with only mediocre results. And you&apos;re ready to go Tasmanian Devil on the next person who says you just aren&apos;t eating enough. Of course you have to hit the gym hard and pack in high-quality food to gain mass. You already know that. You&apos;re here because you need big-time help from supplementation. So what supplements, you ask? Well, I&apos;m glad you did, because I want to steer you in the right direction so you can start correctly using the right supplements for building muscle. That&apos;s why I built a pyramid. No, in this case it&apos;s not a gargantuan stone structure built in the desert like the Great Pyramid of Giza. However, if the pharaohs of Egypt came to me today asking for a supplement plan to help them get jacked, I&apos;d give them this one. Ascend the supplement pyramid from foundational products to peak-performance enhancers, and you&apos;ll be set up for gains that&apos;ll get you crowned Emperor of the Kingdom of Muscle. These products may not get glossy ads in the big magazines, but if you want to get big and strong then these better be in your cupboard or gym bag. Eating a large amount of fresh fruits, vegetables and other foods will go a long way to giving your body its necessary vitamins and minerals. But when you&apos;re pursuing serious muscle gains, you will deplete a lot of those vitamins and minerals during training and then recovery. You can&apos;t feel vitamins and minerals working inside your body, but they play major roles in your energy production, ability to recover, the growth and development of muscle tissue, your immune system, and your brain, heart and hormone function. That&apos;s why you should help support your body&apos;s ability to function at peak performance with a high-quality multivitamin/mineral supplement. Don&apos;t be fooled by the grocery-store version of this supplement. Choose the highest-quality product in your price range. Check out the reviews and ratings on products in the Bodybuilding.com store, and you&apos;ll see the products that have actually been helping people just like you achieve satisfying results. 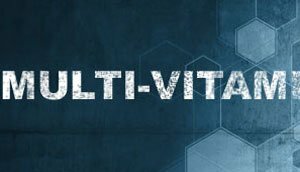 Guys - you don&apos;t really need a multivitamin that contains iron. If you choose a one-a-day type that does, follow the dosage guidelines carefully. Ladies - most women&apos;s multivitamins contain a little bit of iron to offset the loss from monthly menstruation. The easiest time to take a multivitamin is usually in the morning with breakfast. It&apos;s a good idea to take your multivitamin with food to help with digestion. Many multis have 2 per day servings, so take the second one with lunch. Hopefully you already have a protein powder supplement in your arsenal. If not, get one right now. It can be a real daily challenge to chow down on 1.5-to-2 grams of protein per pound of body weight, the going recommendation if you want to put on some serious muscle. If you&apos;re a hard gainer, you&apos;re going to have to push your limits. Enter protein powder to help you reach your goals. Super-convenient, delicious, clean and nutritious, protein powders are serious players in the supplement world. There&apos;s a massive range of options: whey protein, soy protein, egg protein, beef protein, plant protein or protein blends, ready-to-drink shakes, meal-replacement packets or powders, zero-carb to medium-carb, sugar-free varieties, fruit flavors or the classic chocolates and vanillas. If you really need it, there are weight gainers. These protein powders pack in usually two, three, or four times the amount of calories than the regular powders. Hardgainers may definitely benefit from investing in a high-quality weight-gainer product. Getting sufficient protein is a must if you want to maximize your results. Lift yourself to LARGE with protein supplements! With the third category of your supplement foundation, we&apos;re still supporting the most important aspect of building muscle: your ability to recover and repair. Recovery and repair of muscle tissue means new growth! BCAAs are all about recovery, and they&apos;re rock stars at it. L-leucine, L-isoleucine and L-valine are the BCAAs. They are all metabolized in muscle - not in the liver like the other amino acids. Taking BCAAs may help provide your muscles with fuel for training, building blocks for constructing new muscle fibers, and support for strength and power. It&apos;s like getting three red shells in Mario Kart - you have three separate chances to blow the competition off the track, blasting you to first place. 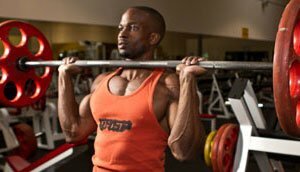 In this case, the competition is any obstacle that keeps you from gaining muscle. You want to pass those obstacles, right? Start off with the foundational supplements. Since arriving in the early 1990s, no product has been hyped as much as creatine. Um, that&apos;s because it works. Your body has natural creatine stores, but when you start working out, those stores are depleted. Scientists found a way to provide a convenient source of creatine to supplement what we get from food. They keep tinkering with different formulas to get the most efficient and effective form. There&apos;s still a lot of debate about what the best type of creatine is for people wanting to build muscle. So if you&apos;ve never taken creatine, start with the basic creatine monohydrate product, an unflavored powder. Pure creatine monohydrate--micronized creatine is another great version of the classic-isn&apos;t a stimulant, so you won&apos;t feel a difference. But creatine works to support muscular strength, endurance, explosive power, and recovery. Basically you&apos;ll get help banging out a few more high-intensity reps during your workout, pushing yourself to the next level of training, which could translate to the next level of gains. Creatine can be considered a foundational muscle-building supplement, but you should cover the previously-mentioned supplements first before moving on to a performance product like creatine. Don&apos;t be afraid to browse your creatine options: micronized creatine, monohydrate, kre-alkalyn, creatine magnesium chelate and more. Some products (especially creatine monohydrate) will recommend a loading phase, and some won&apos;t. Make sure to read the label carefully. You might need a magnifying glass to read the microscopic print, so invest in one of those too. Here&apos;s another great recovery supplement. Glutamine is the most abundant amino acid found in the body and is a great anti-catabolic agent. It helps muscle fibers avoid the "breaking down" process. Glutamine also supports the immune system and the growth and development of muscle tissue. It can be taken before, during or after training. You can also take it throughout the day. The longer your muscles remain torn down and tired, the more time you waste not building muscle. That&apos;s why recovery supplements are key to expanding your wardrobe - literally, because your shirts won&apos;t fit all your new muscle, right? At least that&apos;s the idea. I know I said you can&apos;t trust the sparkly ads you see in magazines, and I stand by that. But you will see a lot of pre-workouts in these types of ads, and some of these products actually do support stellar energy levels and workouts that&apos;d make ancient Vikings proud. Once again, check out the reviews and ratings of the products you check out. Many products have a proprietary blend, which means you won&apos;t know how much of each ingredient is included. But common ingredients include caffeine, creatine, arginine, beta-alanine, citrulline, carbs, and sometimes vitamins, minerals or electrolytes. Pre-workout boosters encourage energy and focus so that you can blast through your workouts and see results fast! Take frequent breaks from your pre-workout, otherwise your body will adapt to having the stimulus. That means you won&apos;t see the same effect over a long time. Take a break every 3-to-4 weeks for at least 3-to-5 days. If you take these products too late in the evening then you may have trouble sleeping at night due to the stimulant content. Carbohydrates are a hot topic in the bodybuilding world. As your body&apos;s preferred source of energy, you tend to use carbs up fast when you train with heavy intensity. For hardgainers, it&apos;s important to get in a lot of clean carbs that will help power you through training and replace your muscular energy stores after training. Just like with the protein, you can get carbohydrates from a variety of actual foods. There are also complex carbohydrate formulas out there that can help you get fast and convenient carbs for quick recovery. Carbs also may help stabilize your metabolism. You can mix these carb products with your protein powder to make a meal replacement or use carbs in your post-workout shake. Although it may be tempting to want to reach to the top of the pyramid and pluck the coolest sounding products from their sacred place, don&apos;t do it. Here&apos;s why: they&apos;re booby-trapped, Jones, and here comes the giant boulder to squish you to your doom! Well, okay, not quite, but you won&apos;t see good results from the top-tier products until you&apos;ve got the rest squared away. Without the foundation, the pinnacle of the pyramid is just a small, triangular shaped structure sitting on the ground ... going nowhere. Building muscle takes time. Supplements are not magical cures for gaining muscle. You must put in the hard work and effort into your workouts and nutrition. Only then can you invest in supplements, and even then it will still take more time than you want it to. That&apos;s okay, because it takes time even for the pros! Supplements can support your goals, especially you hardgainers out there. For the convenience factor and the help with recovery, supplements are a no brainer. Start building your supplement pyramid, bro, unless you want your muscles to resemble those of a mummy!